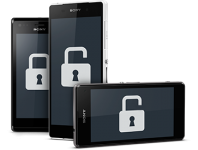 We have previously reported on Sony Mobile’s new “My Xperia Theft Protection (MXTP)” that is currently live on the company’s newest devices such as Xperia Z3+, Z4 Tablet, C4 and M4 Aqua. MXTP offers deeper bootloader-level security compared to the previous version. This means that if a thief gets their hands on your phone, they will not be able to wipe it clean or flash it with a different ROM without knowing your Google log-in details. For those of you that own one of the newer devices, you may have already noticed that enabling MXTP will remove the ability to unlock the bootloader. Out of the box and before enabling My Xperia, you are likely to see the status say: “Bootloader unlock allowed: Yes”. However, once enabling MXTP this will change to “No”. Disabling MXTP will once again change the bootloader status to “Yes”. Most devices bought through carriers are likely to be locked anyway, so this won’t apply to you. The problem occurs when a handset has already had its bootloader unlocked and MXTP is enabled. MXTP tries to change the ““Bootloader unlock allowed” status from ‘Yes’ to ‘No’ which causes devices to break – and in a way that is unrecoverable. FXP Blog is reporting that three of their Xperia Z4 Tablets were irrevocably damaged before realising that it was MXTP that was causing the problem. At the moment, it is a moot point, as Sony does not allow consumers to unlock the bootloaders for these newest devices. The reason for the delay could be because Sony was waiting to fix the MXTP issue before allowing people to unlock their bootloaders. Also, there are no custom ROMs for these devices either right now, so there is no urgent need for people to unlock their bootloaders. Either way, proceed with caution when the time comes to unlock your bootloader and make sure you disable MXTP as a critical first step. After unlocking your device, you should not enable My Xperia (found in the settings menu under security on some devices running Android 5.0) as this might cause the device to malfunction. In addition, if you have enabled My Xperia, this function must be turned off before you can unlock your device.